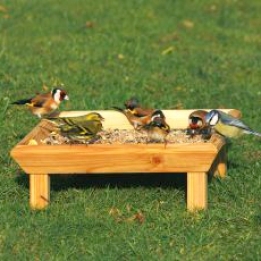 Square Ground Feeding Table - Simply Bird Garden Birds Supplies. Square feeding table offering excellent drainage from the strong steel mesh base. With raised edges to prevent food from blowing away copper foil tape .